BACKUP CAMERA! MATS INCLUDED! ECON MODE! AIR CONDITIONING! AM/FM RADIO! BLUETOOTH COMPATIBLE! STEERING WHEEL CONTROLS! POWER WINDOWS! POWER LOCKS! The vehicle will come with a rebuilt title due to previous storm damage. Vehicle was purchased from Insurance Auction and this vehicle had very minor damage caused by branch falling on this vehicle. We had trained buyers out there finding cars with very minor cosmetic work… The vehicle has been inspected by the State of Georgia and by an authorized dealer and serviced. This vehicle was claimed with thousands of vehicles and the insurance company didn't have time to go through each car and this one is a perfect vehicle. Car must be financed from Credit Union or paid in Cash we do have credit unions that we work with to finance you in this vehicle. This car has a Branded Title. Learn why tens of thousands of America’s X-treme Auto customers agree that Branded Titles offer the best value. 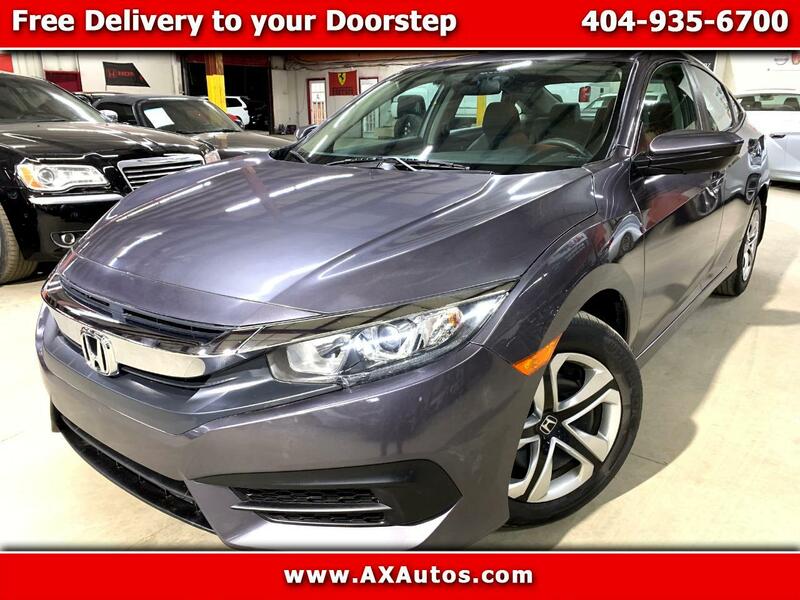 Call, come in for a test drive, or visit axautos.com today. How has AX Autos become the nations largest dealer of Branded Title vehicles? Its simple, we offer spectacular selection of inventory, unbeatable prices, and a 5-star buying experience. Save thousands without sacrificing quality, afford a newer model year, higher trim level, and lower miles than what you might have been expecting in your price range.